Brief：Data from Jones Lang LaSalle Inc, an investment management firm offering specialized real estate services, show China's outbound commercial real estate investments reached $7.6 billion last year, up 124 percent year-on-year. Wealthy Chinese are increasingly looking for overseas real estate investment opportunities-so foreign developers are coming to China in search of clients and business partners, especially in the luxury-residential sector. 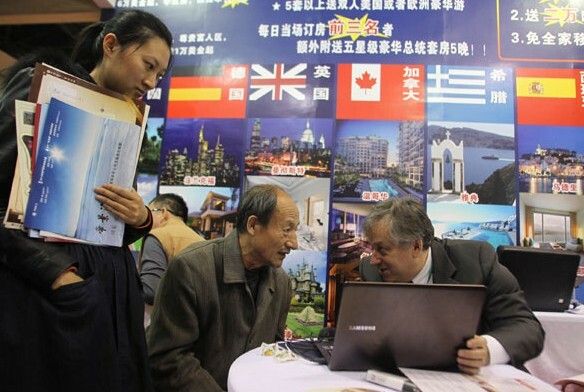 Chinese real estate companies' overseas expansion affords individual investors a path to interests abroad, especially in developed countries with stable profit returns and a good natural environment. "In past years, Chinese investors have not been very enthusiastic when I introduced real estate projects in Canada," Neil Labatte, president and CEO of Talon International Development Inc, said. In the past six months, though, he's taken many calls about buying into the Canadian housing market. It's a "good sign of growing passion" from rich Chinese looking to spend dollars there as their focus shifts away from home, he said. Shanghai-based international investor Greenland Group announced in March a 67,000 sq m project in Toronto, Canada's largest city, as its latest overseas real estate acquisition. In the past year, Greenland announced deals in Australia, Malaysia, South Korea, Spain, Thailand, the UK and US. 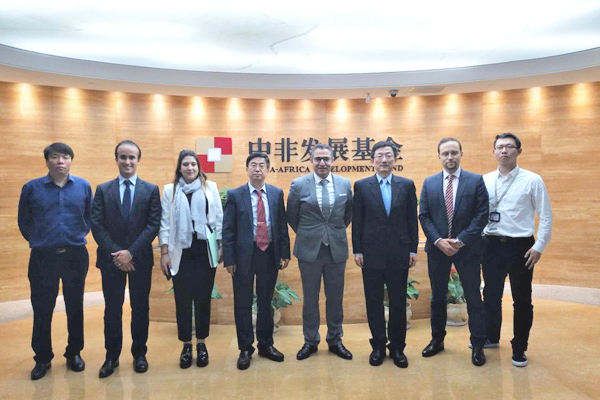 Labatte said Chinese companies and individuals have accumulated enough wealth over past decades that many are now seeking out real estate services as part of their plans to establish businesses abroad. Individual investors who relocate outside China to settle or for work need to make a residential investment. "There is a clear change of Chinese investors' strategy in the Canadian real estate market," said Labatte. "Families have been the majority of Chinese buyers of Canadian housing; usually for their kids' education. They tended to buy large villas or luxurious apartments in high-end communities in the suburbs." Now the purchases are of high-end downtown projects for both living and investment, he said. Xu Dingmu, a businessman with a company headquartered in Beijing and employing 30 people, said his firm is opening a branch in Canada and he would like to purchase a floor in Toronto for office use. "In the past, I would have preferred to rent a place, like we do in Beijing," Xu said. "However, I plan to buy a floor because it will give me a stable profit return even if I close down the company there someday." He said the big time for China's real estate market has passed and it's not a bad idea to put some money into Canada if someone isn't expecting huge returns from it. Data from Jones Lang LaSalle Inc, an investment management firm offering specialized real estate services, show China's outbound commercial real estate investments reached $7.6 billion last year, up 124 percent year-on-year. It estimated Chinese investors will spend more than $10 billion in 2014 in overseas commercial real estate markets. Against that background, foreign developers are looking for Chinese partners to jointly seek out potential clients in China. Talon is the developer behind the Trump International Hotel & Tower Toronto, in the heart of Canada's financial district. Labatte is optimistic about the future of those projects, saying that the new rich generation in China has better taste and higher requirements for their housing. "They want to be closer to vibrant city life with convenient facilities," he said. "They want to have a luxurious lifestyle that a high-end project can provide - waiters, concierge, dining and party services included." He said Chinese investors are at the starting line of commercial real estate investment in Canada and the potential is huge. At present, US and European investors lead commercial real estate investment in Canada. Chinese investors will follow rapidly, Labatte said. "We are not here to only sell a project," he said. "We are seeking Chinese developers to partner up" with. He said many raw materials are imported from China for real estate construction, so Chinese companies' strong network of contacts will benefit cooperation.